and orchard and also offers private picnics on the islands around the lagoon. Here's a few reasons why we love it! The Brando has been elected Best overseas resort by Luxury Travel Magazine readers in 2015. 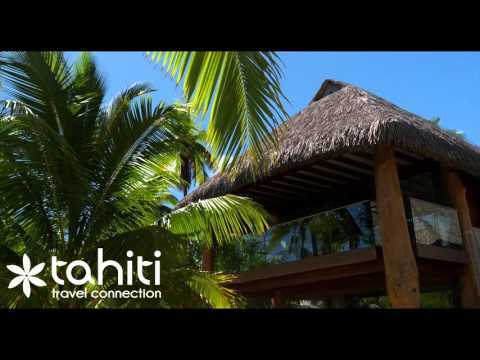 Internet – FREE WIFI throughout the resort - The Brando has the best internet speed in all of Polynesia! - 1 large outdoor deck with comfortable chairs, private pool of 10m² and covered dining area. Beyond the natural boundary of the villa, an open access overlooks the beautiful white sand beach. This unique 246m² 3-Bedroom Villa has exactly the same layout as the 2 - Bedrooms Villa, but on an even larger scale, as the 22m² swimming pool, with an extra bedroom. This third bedroom, though slightly smaller, looks just like the other two. Watch out! It is independent of the main villa and accessible by a walkway of about 9 meters. As a guest of The Brando you can dine anytime, day or night, anywhere: at the restaurant, villa, pool or on the beach! Located in the heart of the Resort, near Bob's Bar, the pool and the beach, this casual modern space welcomes you inside or outside for the 3 daily meals. Full buffet breakfast, light gourmet lunch and snacks, fine cuisine for dinner . An intimate dining experience, it is open for dinner only and limited to 22 guests. The world's best wines perfectly preserved in a climate-controlled cellar. Available 24hrs - you can enjoy a meal in the villa, on your deck or private beach. The Villas 2 and 3 bedrooms are equipped with a kitchen area, allowing the chef to finish the dishes pre-prepared in the main kitchen. Open from 16:00, this outdoor bar reveals a spectacular view of the lagoon, and the islands of Tahiti and Moorea in the distance.It is the perfect place to watch the spectacular sunsets. Drink with your feet in the sand! This bar takes its name in honor of Marlon Brando’s friend and colleague on film sets, Bob, with whom he liked to meet at the end of a long days of filming to chat and joke around with a drink. At your service, the Bob's Bar team will serve your refreshments under Fare Potee, in one of the outdoor seating areas, at the pool or on the beach. Children are classified as aged 0 – 12 years old and enjoy FREE accommodation when sharing a room with their parents. Kids Club on-site. For children aged 6 to 12 yrs - an educational island program is offerred including games, workshops and mini-conferences, exploration, treasure hunts and many other surprises. Topics cover sea turtles, whales and dolphins, coral reef, eco-citizens & Polynesian culture. Available every day on request from 08:30 to 16:30. The Brando is a unique luxury resort on French Polynesia’s breathtakingly beautiful private island of Tetiaroa – an atoll composed of a dozen small islands surrounding a sparkling lagoon 30 miles northeast of Tahiti. With access to the island by private plane, the resort features 35 villas on white-sand beaches frequented by sea turtles, manta rays and exotic birds. The resort was designed to reflect Polynesian lifestyles and culture. Enjoy a pure sophistication for this resort offers carefree luxury in the midst of pristine nature!